Part 2 – Conference at the DEEP in Hull – Professor Graham Stokes. | Which me am I today? 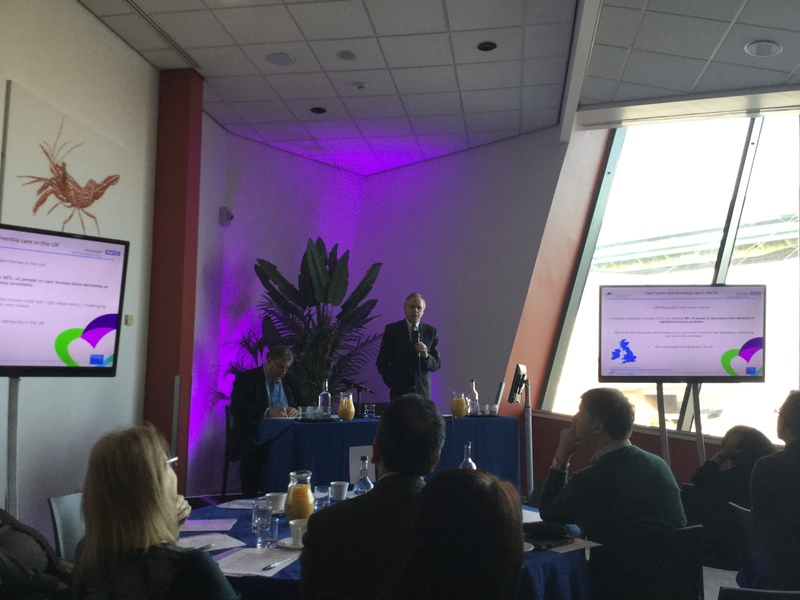 Part 2 – Conference at the DEEP in Hull – Professor Graham Stokes. So following on from yesterdays blog about my first conference in my new county – East Yorkshire – up next to speak was Professor Graham Stokes. He spoke of the fact that having created the ability to have a better life with dementia meant people live longer with dementia – this surpasses the capacity of family to provide care as more people enter the complex late stages of dementia. Could the e-learning tool they’d researched enable staff to look after people better? No it didn’t. WHY? 15% of residents were prescribed psychotropic medication. It deviated from best practice – there was poor practice of prescribing – the first reaction is to prescribe. We don’t know WHY this is the case – could there have been little true adherence to interventions? Staff working in care homes were unable to persuade other professionals that drugs weren’t the answer – senior nurse may not listen to a more junior person. Care homes have a high turnover in staff. The culture in care home doesn’t support intervention of dementia champions. It takes a strong willed nurse or Health CAre Assistant to stand up to GP not to prescribe drugs. What a terrible state of affairs – this needs to be sorted before I go anywhere near a care home……..it left me feeling very sad. On a slightly more positive note, Professor Graham reported that In BUPA care homes in December 2013 19.5% were prescribed drugs to control behaviour, in July 2014 it fell to 12.9% – Admiral nurses have brought down through bringing in techniques to give staff confidence. By admiral nurses being present the other staff became more confident because they hadn’t before been in a supportive culture. So that’s why he didn’t want to be in a wheelchair – at the core was a distaste for disability and reliance. They couldn’t come up with a solution but ‘knowing why’ changed the perception of the issue. The man had lost his dignity by being put in a wheelchair. Sometimes we have to make accommodation for behaviour as we can’t remove some behaviours. But the conduct could be accommodated if understood. You can reduce medication but it has to be replaced by some other action and support or understanding. Just goes to show that there’s no point in the person with dementia writing family story if no-one reads it and if they don’t continually refer to it as the dementia progresses. Yet again I was left feeling sad………….final instalment tomorrow…..